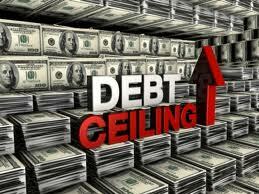 The Debt Ceiling Escape Hatch? Who can say whether or not this would be the best approach, but the alternatives are probably worse. If President Obama were to heed the House Minority Leader, Nancy Pelosi’s advice and invoke the 14th Amendment, Republicans in the House, no doubt, would move toward Articles of Impeachment. Given President Obama’s pragmatic political disposition, I just don’t see him doing that. Edward D. Kleinbard, a former chief of staff at the Congressional Joint Committee on Taxation, is a law professor at the University of Southern California. This entry was posted in Economy and tagged debt ceiling, federal budget, Obama on January 10, 2013 by speakingthosethings.